Choosing the right mortgage lender is important. 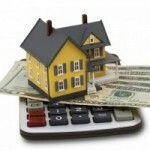 You are committing your money to a company that is financing your home. Not only that, but it will be one of the biggest investments that you will make in your entire lifetime. Here are some scams that you should keep an eye out for. Be aware of the proposed interest rate that is being offered to you. While one lender can offer you a significantly better rate, they may not be as trustworthy as the other ones. Through the purchase of discount points, you can basically prepay your mortgage and reduce your interest rate. Make sure they give you the option to purchases these and provide significant details. If you decide to pay off your mortgage early, it should be worth celebrating. Some lenders will spoil your charge you a penalty for doing this. Note that this is illegal in owner-occupied homes, and any discussion of this should lead you to finding another lender. A GFE, or good faith estimate, is information about your loan that is provided by the lender to give you all of the information that you need to know. This should typically be received by the home owner within three business days. Failure to receive your GFE should be enough reason for you not to do business with that lender. A balloon payment is an amount of money that is paid at the end of the loan term. They are usually applied to investment properties. If the company that you are negotiating with charges you with a balloon payment on an owner-occupied home, it is illegal and talks should be discontinued immediately. If a lender tells you that bad credit will not affect your approval, you would do best to avoid this. Your loans will almost always be festered with horrible terms that will put you in tough financial situations. 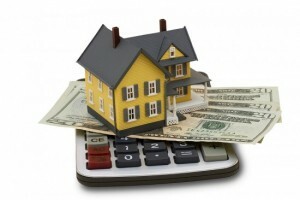 Lenders should not be the ones to figure out your financial situation. By working closely with them, you should pay no more than 28% of your total monthly income. If they do not take into account your ability to pay, kindly switch to another company that will. Make sure you do not get sucked in to bad terms. Be wary of shady lenders and consult several companies before committing yourself. Kuba Jewgieniew heads Realty ONE Group, a real-estate broker with the goal of providing ethical, professional, and results-driven services to prospective home owners.